Looking for Bubble Development Help? Huge Shout out to @ryley.randall and https://brownfox.co! Randall was instrumental in building a Color Pallet Generator and responded to all my questions in a timely manner (he didn’t even get upset with the ton of questions I had). I’d definitely recommend! Algorithmia Color Tool Plugin page on Bubble. Add Algorithmia Color Tool in one click to your app. Bubble lets you build web apps without any code. 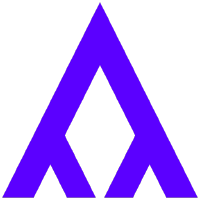 Algorithmia has some amazing services, a great tool and perfect for Bubble use. Alogorithmia has some interesting machine learning API’s. The only catch that people need to be aware is that it’s not a free service even though i personally think their prices are relatively very cheap. The reason i’m bringing this up is that there is some interesting aspect to algorthmia’s service model. So they basically make it easy for anyone to host an algorithm (in several different programming languages) and access them through REST APIs at a small cost (author could charge royalties per api call as well). 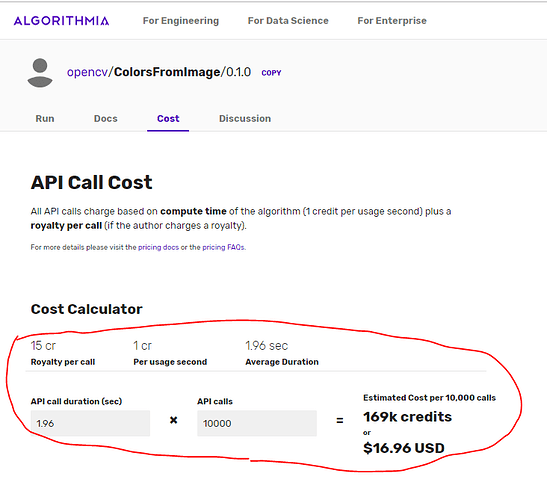 But the current plugin through algorithmia will require an api key and the cost associated with this plugin is below. As you can see it’s relatively very cheap but its not completely free. Plus Algorithmia currently gives you free 5k credit per month. So depending on your usage you can even get it for free. So aside the cost involved there is also the overhead of calling an external API instead of running code client-side if it was an element plugin without any external calls. I might be creating some Algorithmia API plugin’s myself. Yes, I think for initial use it is really good. You can swap around services really quickly. Then code it up in a plug-in once you have settled.